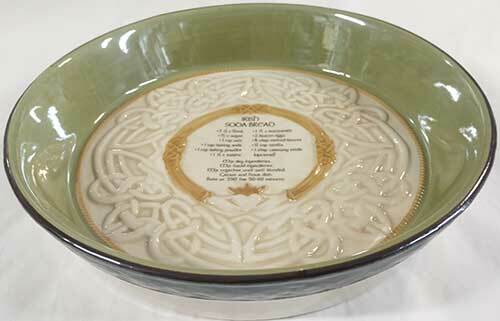 Irish dinnerware is a baking dish that is enhanced with the Claddagh along with an Irish soda bread recipe. This Irish baking dish an Irish soda bread recipe along with an embossed Claddagh and Celtic knot-work motif. 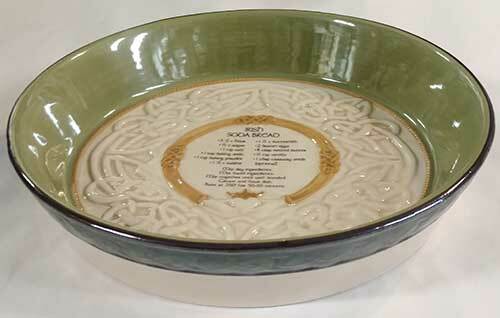 The Irish soda bread baking dish is enhanced with a dimensional design and it measures 8 1/2" diameter x 1" deep. The ceramic bread dish is oven and dishwasher safe and it includes a metal stand for display. 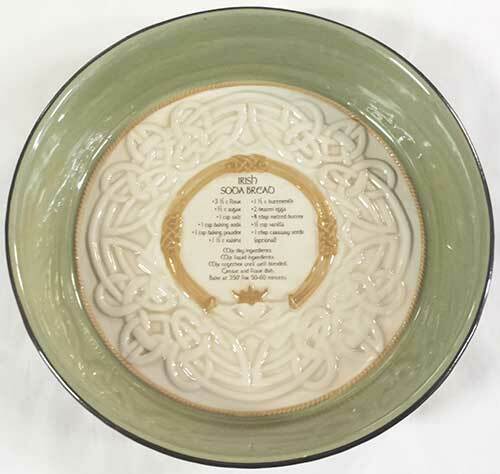 Irish soda bread baking dish is enhanced with embossed Celtic knot-work along with the words Irish soda bread.